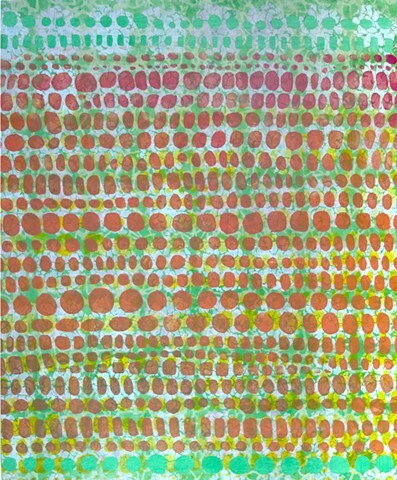 These colorful paintings are based on magnified slides of willow tree bark. They evolved from work I made during a residency at St. Gertrude's monastery in rural norther Idaho. They were painted on paper then had patterns cut into them before being mounted to brightly painted panels.